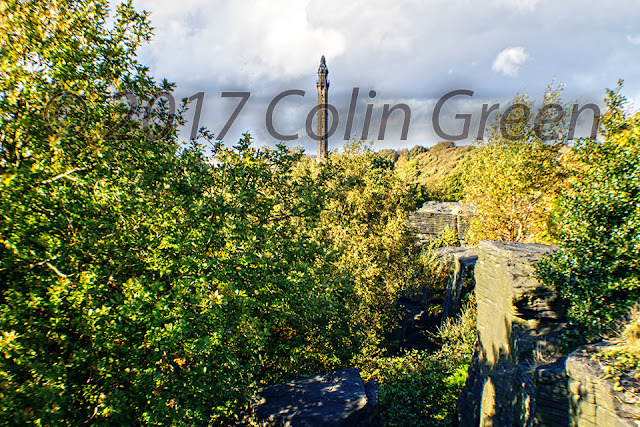 Colin Green Photography: Wainhouse Tower, King Cross, Halifax. Wainhouse Tower, King Cross, Halifax. My Wainhouse Tower portfolio features 15 different pictures with 10 available to view on Flickr by clicking here. There a further 3 that can be viewed on Clickasnap by clicking here, and finally there are a couple for sale on Photo 4 Me by clicking here. 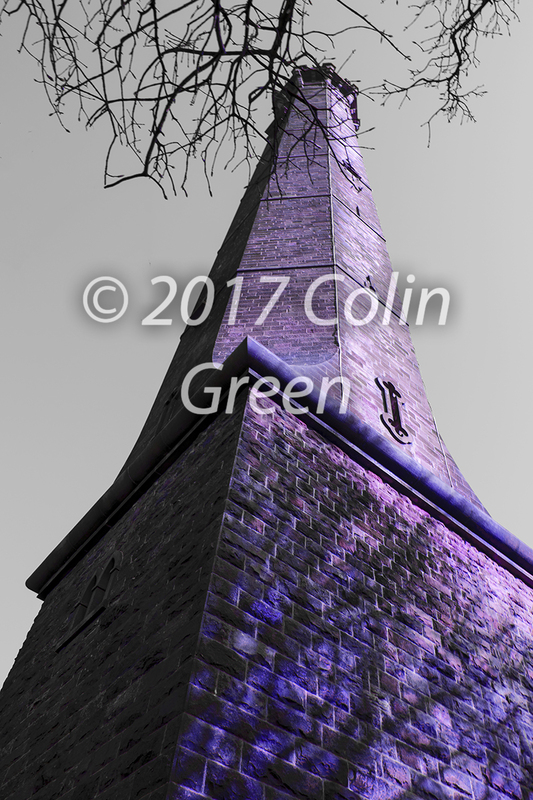 A little about Wainhouse Tower which is a folly in King Cross, an area of Halifax, West Yorkshire. It rises 275 feet making it the tallest folly in the world, has 403 steps from the bottom to the lower viewing area and took 4 years to build being completed in 1875. The tower is open to the public on bank holidays and cost's just a few pounds to enter with outstanding views across the Calder Valley the reward. The tower was originally built to provide a chimney for the Washer Lane Dye Works but when the works manager bought the works he did not want to pay for the tower, so John Edward Wainhouse decided to add viewing platforms to it and the local tale of the Tower of Spite began. The tale goes that Wainhouse had a long standing feud with neighbour Sir Henry Edwards who was said to have the most private estate in Halifax, with Wainhouse adding the viewing platforms so that Edwards could never claim privacy again. The tower cost £14,000 to complete(£1.129428,00 at 2017 prices). The chimney came under the ownership of the Halifax Corporation in 1919 and was used as an observation post during World War 2 and became the property of Calderdale Council 1974. The pictures were taken on various dates using either a Polaroid iS2132 Camera or a Nikon d3300 SLR Camera. Use the arrows to view the album or click to view full size on Flickr. 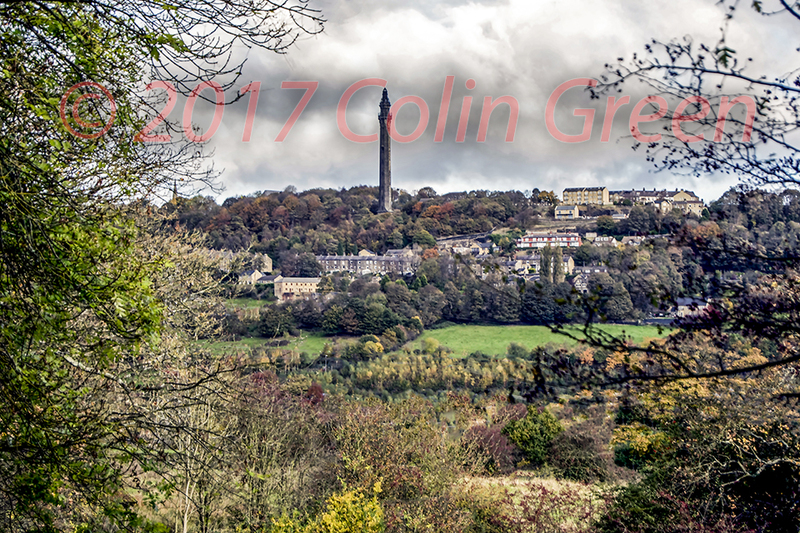 There are 3 pictures available to view on Clickasnap in the Wainhouse Tower album by clicking here. Taking the time to view any picture I show on Clickasnap, means I receive a contributor's fee payment from them so please take the time to view the on there. Click here to view "Folly of Spite" on Clickasnap. The image opens in another window, is full size, full resolution and without watermarks. Any view of over 10 seconds helps support my photography. Click here to view "Tower above the Valley" on Clickasnap.